He’s not a household name. 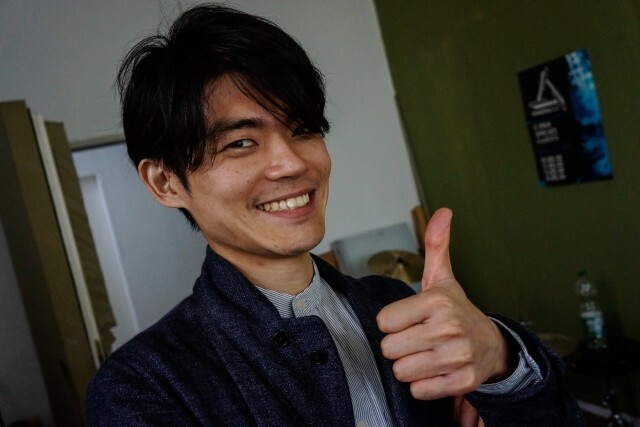 But Tatsuya Takahashi is the man from Korg’s development group behind instruments you almost certainly know. Starting with the first Korg monotron, followed by the Monotribe, monotron DUO and monotron DELAY, Takahashi has been standards bearer to a legacy of Korg stretching back to the early analog days. These newer instruments return to some of the analog circuitry and ideas behind earlier instruments, bringing a new playful approach to electronic music making for the masses, at stunningly low prices that put the products in reach of those musicians. And now … well, now there’s volca, three new instruments covering bass, beats, and keys (in name and function), each under $150 bucks. And so we’re really lucky that their designer Tatsuya Takahashi from Korg in Inagi-City, Japan visited us in Berlin. He had all three volcas in hand, and shared his experience as a musician and designer, complete with a live improvised jam for us on the products he and his team at Korg built. It was a rare pleasure – Christmas in May. The three new instruments are both more value-packed and more capable, complete with (at last) MIDI input ports that let you connect other gear. volca beats, volca keys, and volca bass each focus in on a specific sound design task, while sharing common sequencing and sync features, and tidy bodies with big touch strips. They’re self-contained music instruments (complete with speakers), but also play nicely with each other and other gear. You may have seen a look at volca from Musikmesse, but there, these babies were locked inside big “don’t steal me” cages and had to be heard over the din of a trade show. 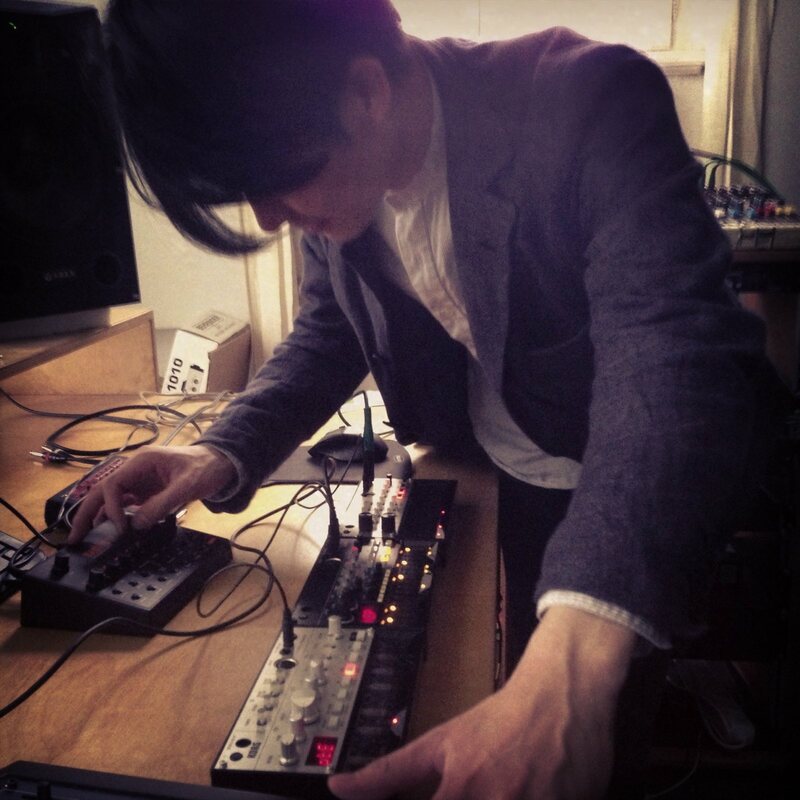 Tatsuya stopped by my studio last week with the items so we could hear them on proper monitors and play. And play we did, for a delightful afternoon filled with grooving volca sounds and chatter, joined by Benjamin Weiss of DE:BUG and Engadget Germany (who has also been a musical collaborator of mine lately). 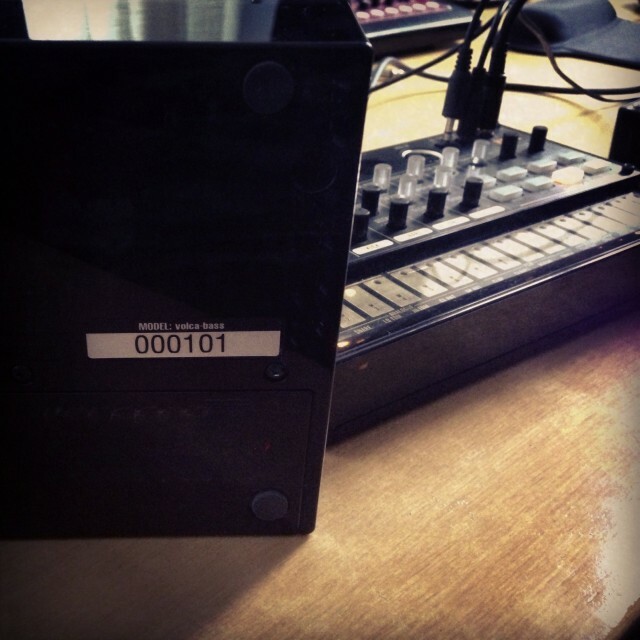 Serial number 101 = the first serial number for volca, ever. No, we don’t get to keep it. This is the unit Tatsuya himself was carrying around. I thought they sounded pretty good at Musikmesse. Then I heard them properly and got to play for more time. And I can say this: they’re even better than you likely think. With street prices now aiming for around US$139 and €139 (official European list is €166, for instance, but street looks lower), they’re looking just ridiculously desirable. Something about them also suggests that Korg has gone from experiment to real instrument. Those early Korgs were nice, but the absence of MIDI was a pain (especially on monotribe), and they weren’t for me at the level of must-have sonically. These are different. I got to talk to Tatsuya for a long time about his ideas. He’s an extraordinarily-insightful designer; a long-time UK resident with a proper English accent, you get a real sense of focus on the designs he works on, a degree of confidence that shows in the designs. 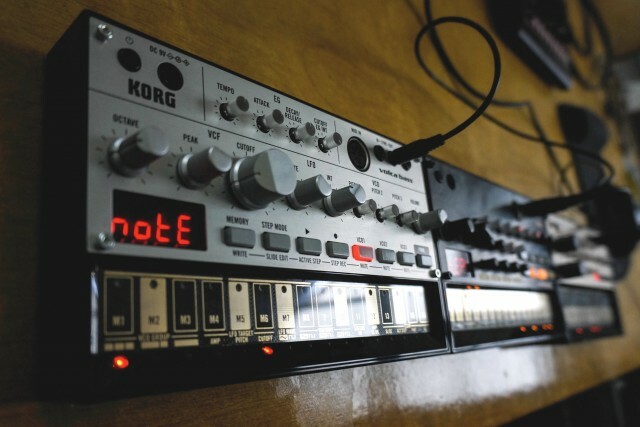 I understood from our conversation that Korg was unsure – as the rest of us were, frankly – how the original monotron experiment would be received. If the first blush of monotron was “toy,” those of you who picked them up and made music with them proved they were more. And volca seems to acknowledge that, not only with the much-needed MIDI port, but with more spacious touch strips that are more playable, with deeper sound design options that set them apart not only as “cheap” but genuinely “unique.” A friend on Facebook asked if monotribe owners wouldn’t be frustrated by the availability of volca beats. I said, quite the opposite, I think those monotribe owners – putting up with the rest of our skepticism, going to the trouble of shipping off their hardware to add MIDI mods – may now feel vindicated. The volcas are a triumph of the design thinking behind monotron. Let’s talk specifically, though, about what I mean and how I’d pick between the instruments. And here’s a jam with our friends at KOMA Elektronik, also from Tatsuya’s Berlin visit – thanks to Wouter for sharing this with us. The delay is not the same as the one on the earlier monotrons. The new delay is actually running on the microcontroller, a custom-implemented delay routine squeezed into the volca’s processor cycles. And it’s irresitable. In fact, it was the thing that drew me to the volca keys first at Messe, capable of whipping up spacey ambient dubs from your synth leads. (The earlier monotron used a dedicated chip for delay. My intern messed around with his own delay implementation using that same chip last summer — this stuff isn’t a secret, once you open the case, and Korg even shared the earlier design in public sechematics. What made the monotron special was fitting the analog filter into the delay line.) No matter: it all sounds great, and it’s certainly in the spirit of the original. Sync is a blast – and you can sync up other monothings, too. You can connect minijacks to sync these different instruments, including both volcas and Korg monotribe. Now, you can also sync from MIDI in – and then use that to clock something else from the sync port. So, for instance, you could add a volca bass, run MIDI from your laptop, and then run a sync cable to your monotron, and everything will clock together. MIDI out will be hackable. Tatsuya didn’t let us unscrew the cases – these things are rare – but he did confirm for us that “MIDI out” is spelled in large letters on the board. So, hackers, just as you added MIDI capabilities to past Korg boxes, you’ll be able to supplement the included MIDI input with output. The battery lasts. The suspect East German wiring in my studio never got tested as everything was happy running off batteries. Having built-in speakers is fun, too, though the only problem is you’re unaware how big the sound of these instruments can be. You can automate the (digital) knobs. Korg advertised this, but using it in practice is endless fun – for acid techno lovers, but anyone wanting to sequence more complex sounds, generally. Slide touch makes the sequencers more usable. Slide along the touch strip, and you can quickly silence and mute drum parts on the volca beats, for instance. You can also use Active Step to add and remove steps on bass and beats, and hop around the sequence on beats with Step Jump for rhythmic effects. It makes the beats and bass really performance-ready. You’ll get deep bass when you want it. That “toy” criticism can be fair if an instrument can’t rumble the floor with bass or hold up in a club or mix. With all three, I was impressed in better acoustic environments by the sounds of the bass drums and bass lines. So, if I had to get only one volca… I’d probably get the volca beats. It’s tough to beat a drum machine for under $150. Two, or if I had another drum machine/sequencer I liked: definitely the keys. It has a distinctive lead sound, the various unison options are a joy, and the delay really opens it up. You can still use it for basslines, happily. But it’s really genuinely tough to choose. The bass is definitely acid friendly, and having the three oscillators is great. It’s not hard to imagine some people getting all three. Oh, and it was nice that both I and the folks at Koma got to talk to a Korg veteran about instrument design. We’re not sitting still on the MeeBlip project – we’re hard at work on something new, something different than what the volcas offer. And we’re thrilled that you can now put together a very affordable hardware studio, as it means MeeBlip is more useful than ever. At the same time, part of why I’m humbled and happy to have had the MeeBlip experience is that I now appreciate the work done by someone even as big as Korg. Korg owns their own factory in Vietnam; Tatsuya had just visited to work with the manufacturing team. The result is something incredibly high-quality, consistent, and affordable, that was even recently not possible at this price point. When you’re making physical products, every manufacturing detail therefore matters. And speaking of manufacturing, it’ll all be shipping later this summer. We’ll be watching. More photos, courtesy Benjamin at DE:BUG. The man from KORG himself. Thanks for dropping in! We’re loving what you’re doing. 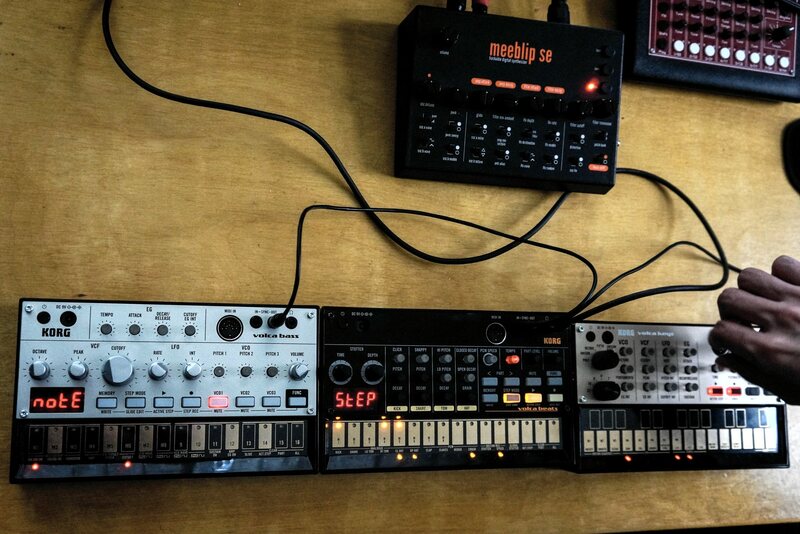 The three volcas pose alongside MeeBlip.